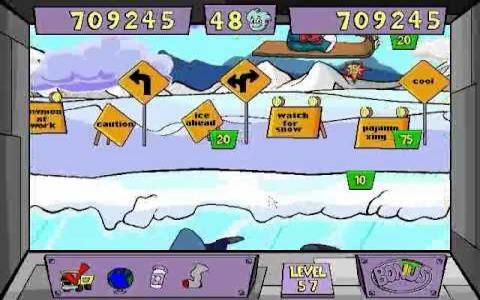 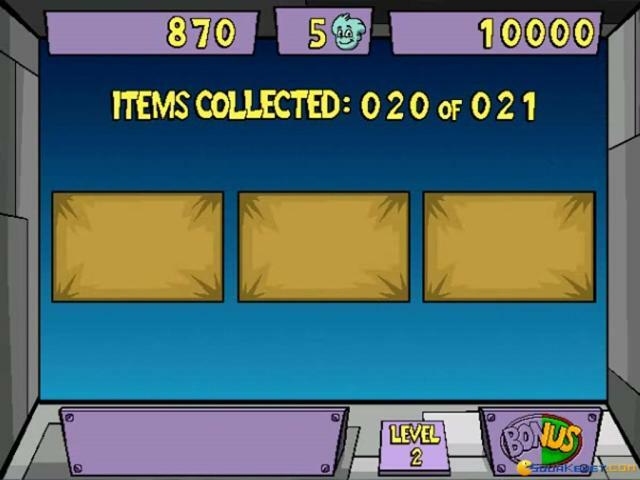 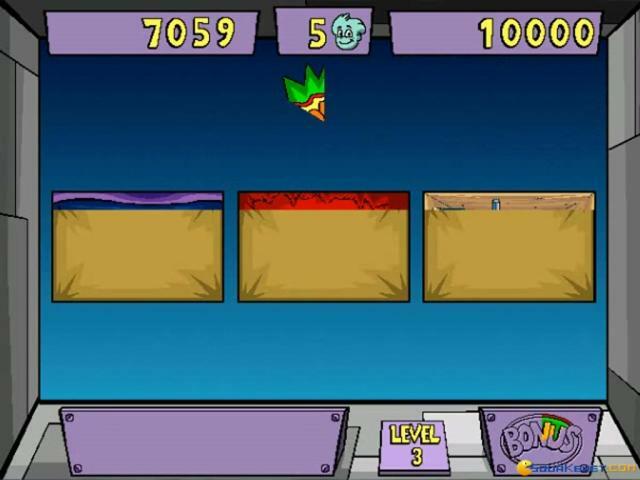 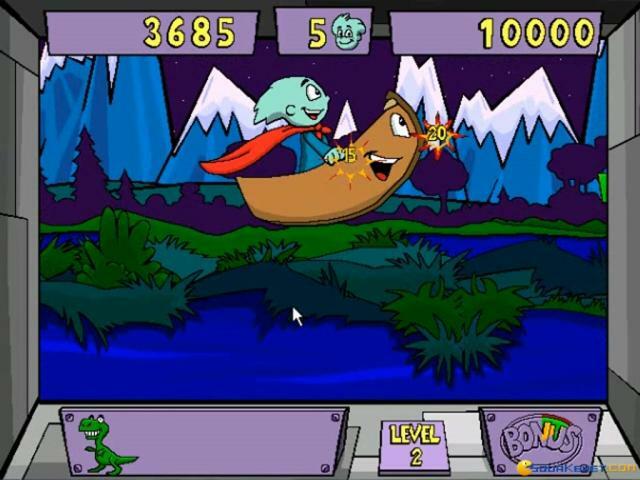 While not exactly one of video-gaming's best known heroes, Pajama Sam has developed something of a cult following with younger audiences and has starred in an extensive series of kid's games that feature the charming superhero and his various adventures. 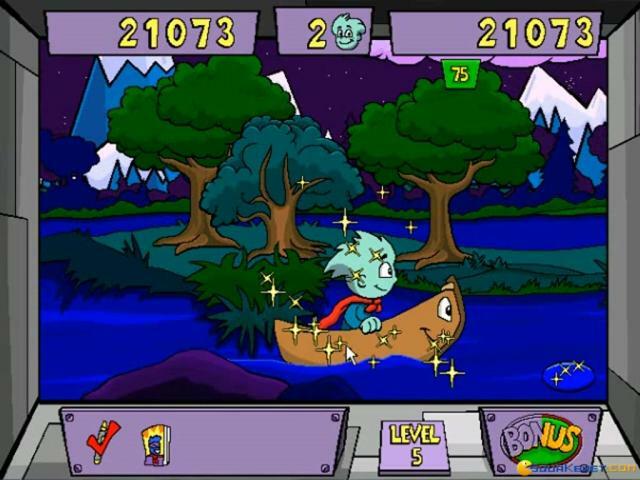 The quality of the series has wobbled a little along the way, with Pajama Sam 2 being perhaps the best entry, but this one stands up pretty well and is perfectly serviceable bit of entertainment for the young ones. 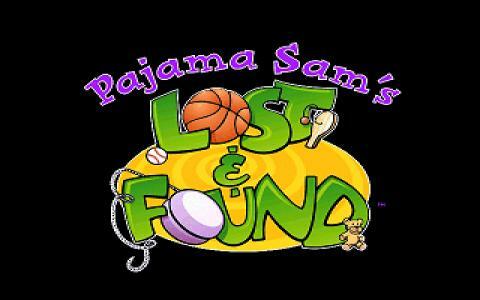 In previous adventures, Sam has entered the Land of Darkness and other such fantasy worlds, each time returning with a keepsake. 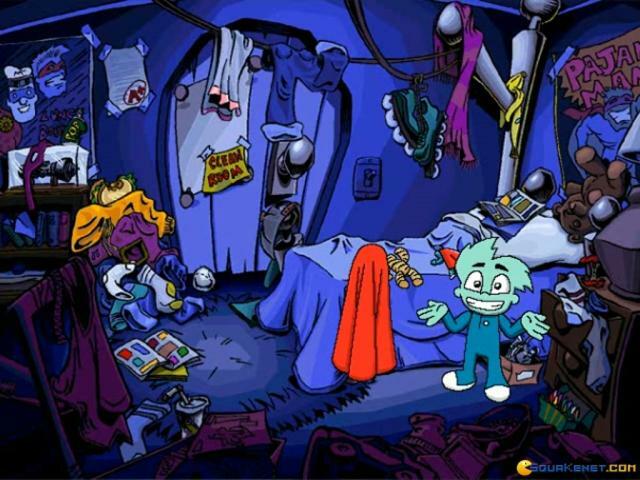 Unfortunately, Sam hasn't kept things tidy and all his possessions are now scattered around and must be collected and returned to their rightful place. 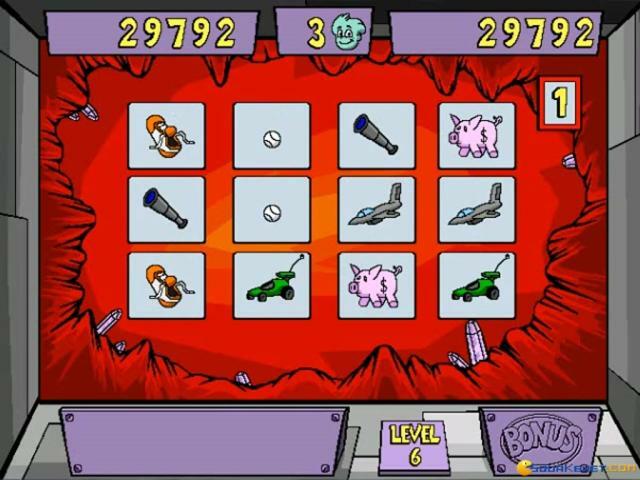 A few of Sam's chums are available to help him out and together they must make their way through a series of maze-like paths, gathering the objects while avoiding the weird and wonderful obstacles that stand between them and success. 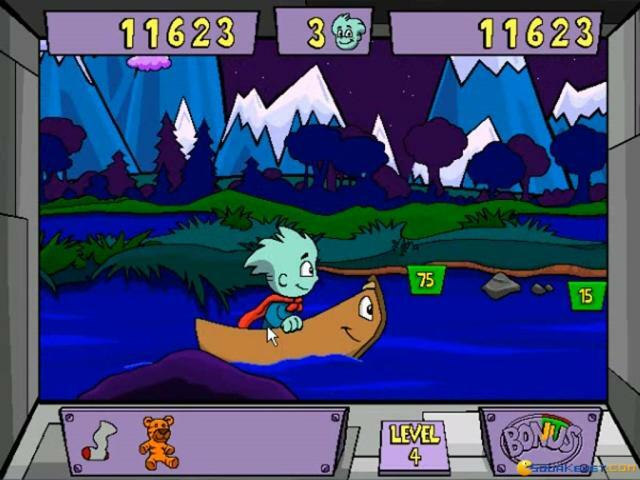 Most of the levels take the form of side-scrolling platformers, with Sam controlling canoes, mine carts and the like, jumping around collecting points and leaping over rocks and such-like, while there are also a few bonus games to enjoy. 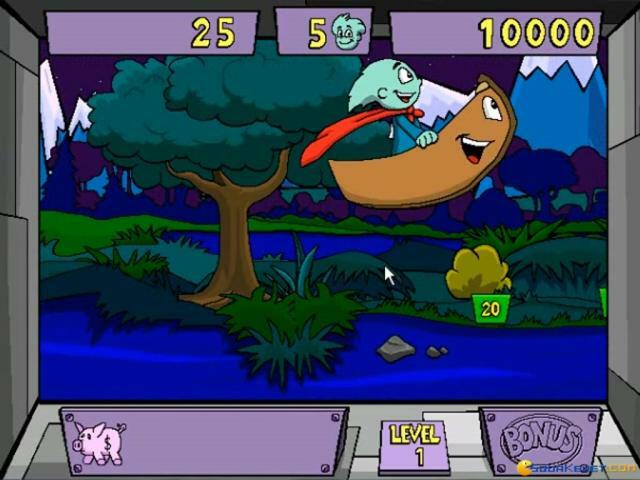 Pajama Sam himself makes for an engaging hero and he, his friends and the various environments to be explored are all rendered in suitably appealing cartoon-style, with vibrant visuals and suitably cheery music. 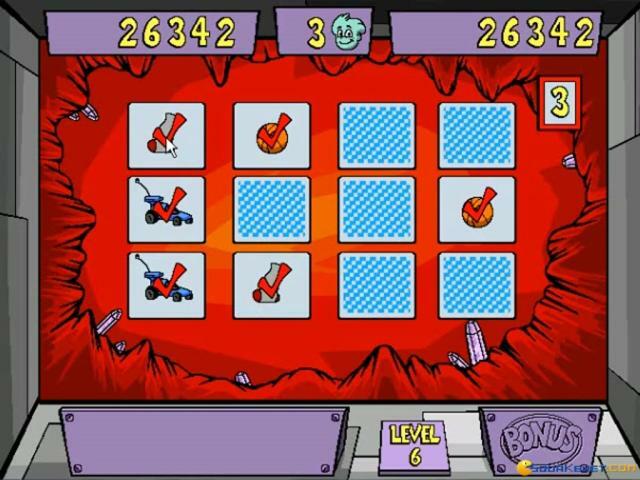 Overall, this is good clean fun for undemanding youngsters so for fans of Putt-Putt and the like, this is a worthwhile bet.